This white 14 in. 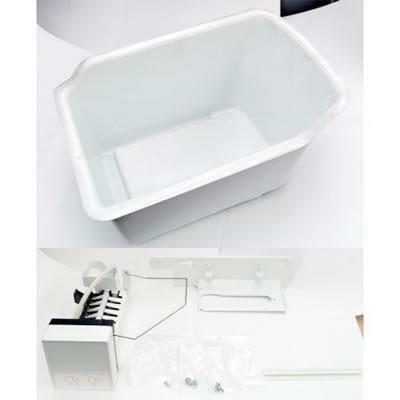 8 lb ice maker kit fits most top freezer Refrigerators models. 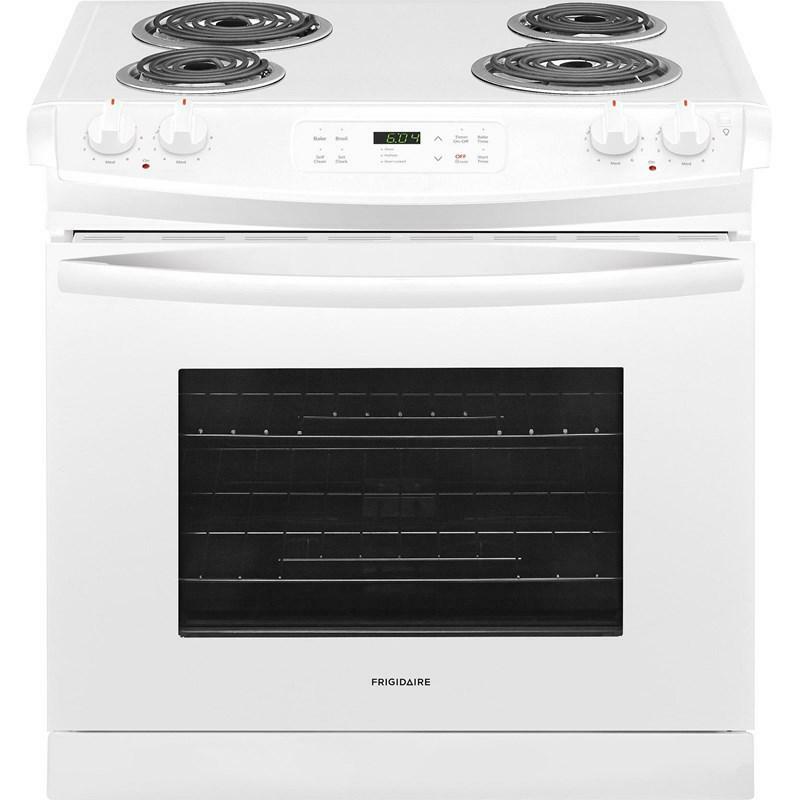 This Frigidaire drop-in electric 4.6 cu.ft. 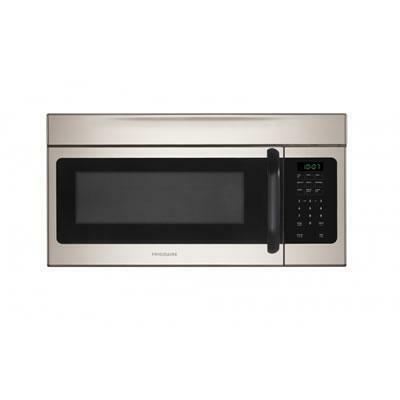 range features 4 electric coil elements, bake, broil options and 12-hour auto oven shut-off. Capacity (cu. ft.): 4.6 cu.ft. 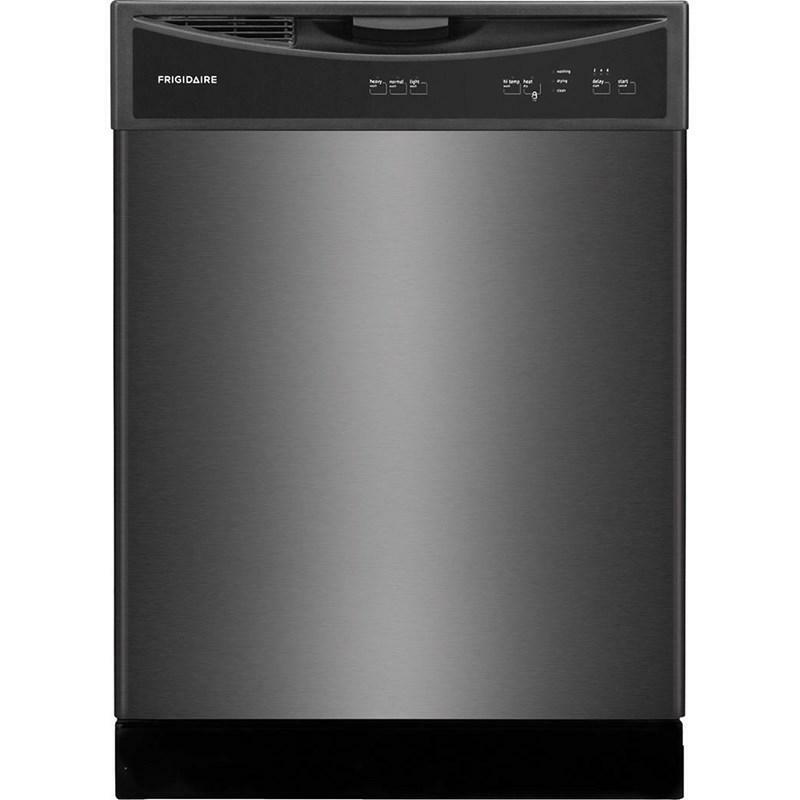 Frigidaire 24" built-in dishwasher features Ready-Select® controls, tall tub, UltraQuiet™ I sound reduction system and can fit up to 14 place settings. 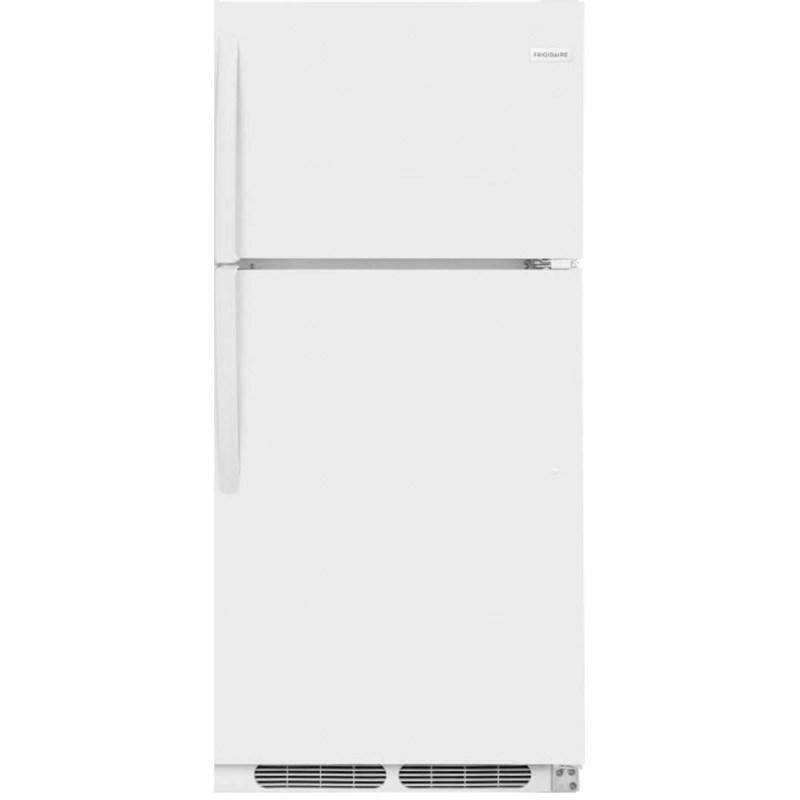 Frigidaire 14.5 cu. ft. top-freezer refrigerator featuring Store-More™ humidity-controlled crisper drawers, a full-width wire freezer shelf and a reversible door. 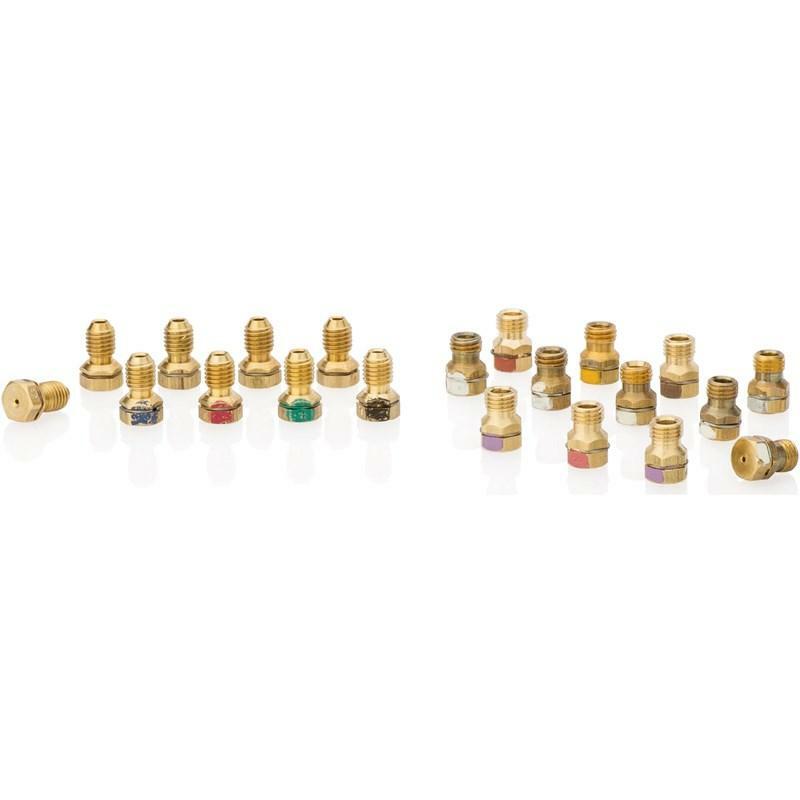 Total: 14.5 cu. ft. / 0.41 cu. 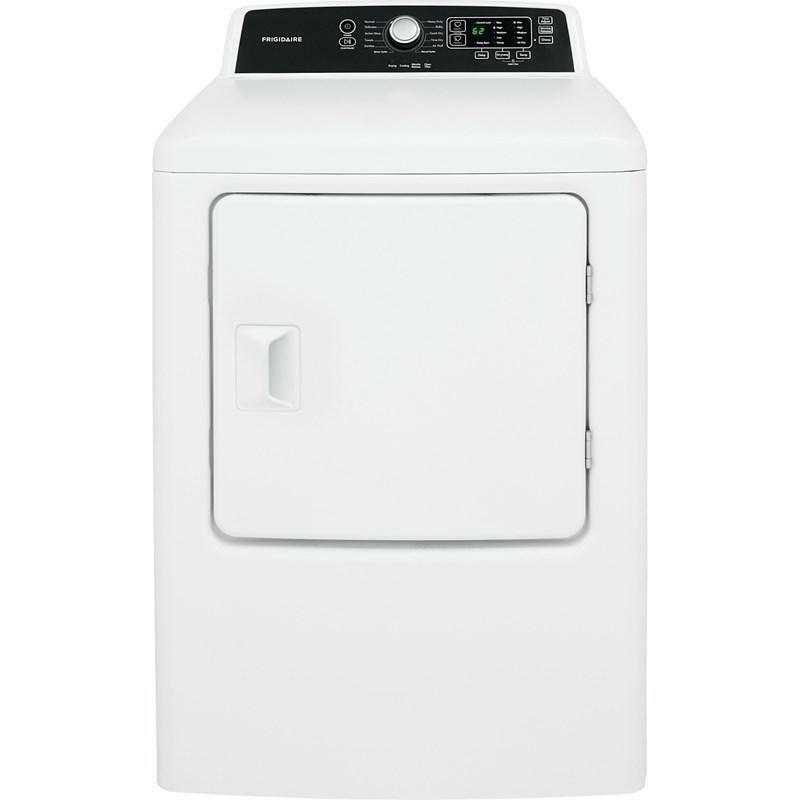 m.
Frigidaire 27" top load washer featuring 5 soil levels, stainless steel drum, electronic controls and fabric softener dispenser. 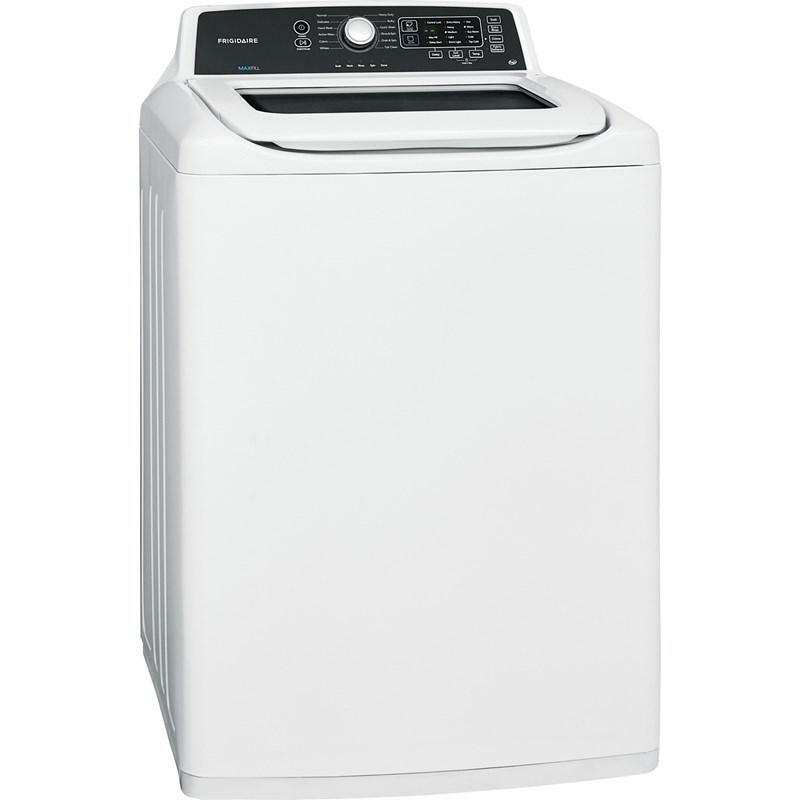 Total Capacity DOE: 4.1 cu. ft. / 0.12 cu. m.
Capacity: 6.7 cu. ft. / 0.19 cu. 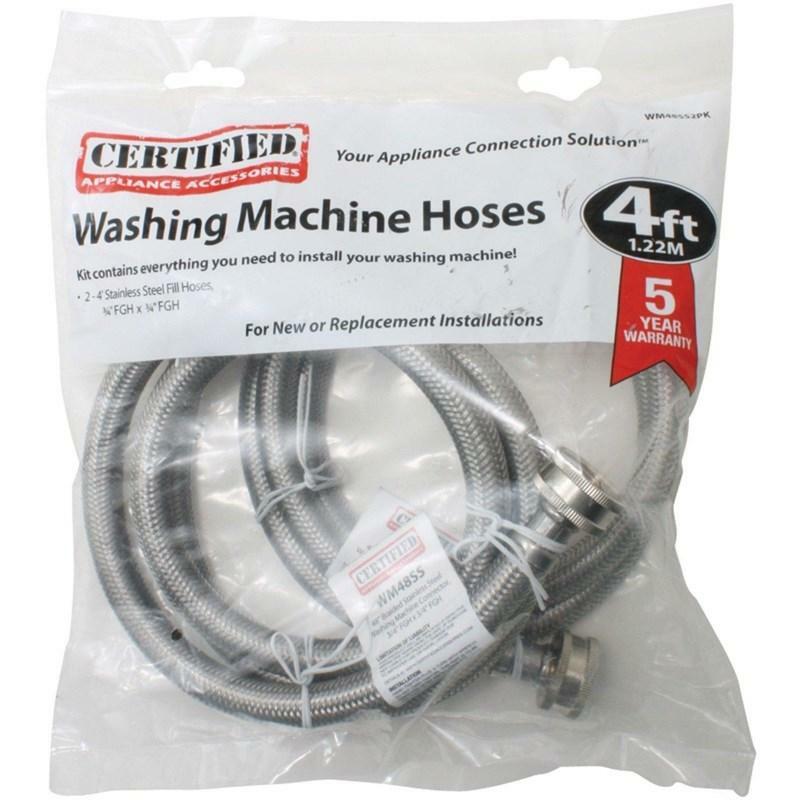 m.
Stainless steel hoses 2-pack, 4'. 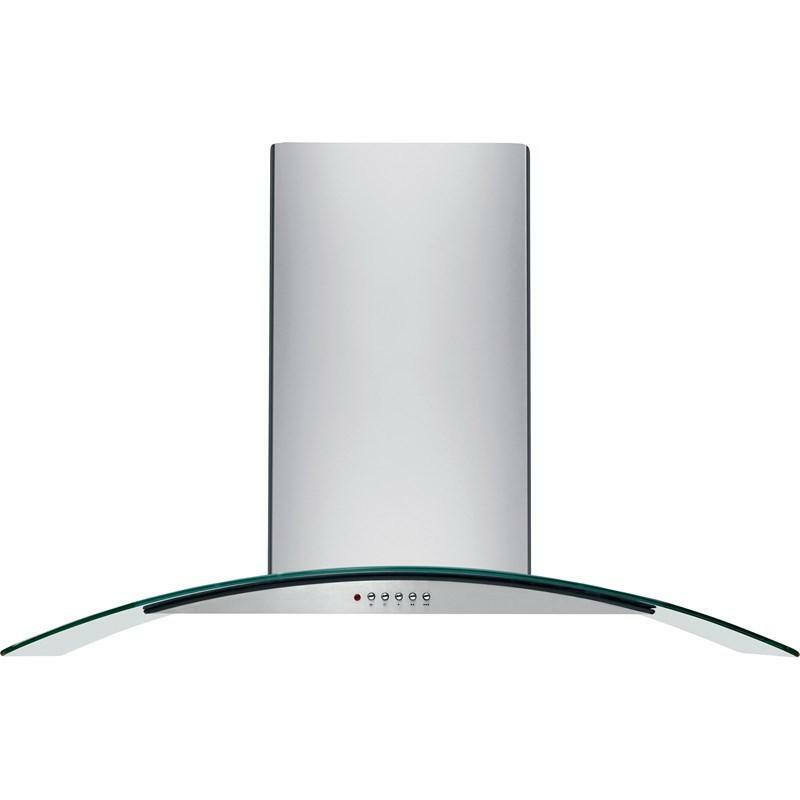 This Frigidaire 36" glass canopy wall-mounted hood features dishwasher safe washable filters for easy cleaning and a bright halogen lighting for an efficient illumination of the cooktop surface. Natural Gas to Liquid Propane Conversion Kit. Frigidaire counter-depth icemaker kit. Upon installation, the icemaker will produce roughly 2 pounds of radius ice within 24 hours and will hold approximately 18 pounds of ice. 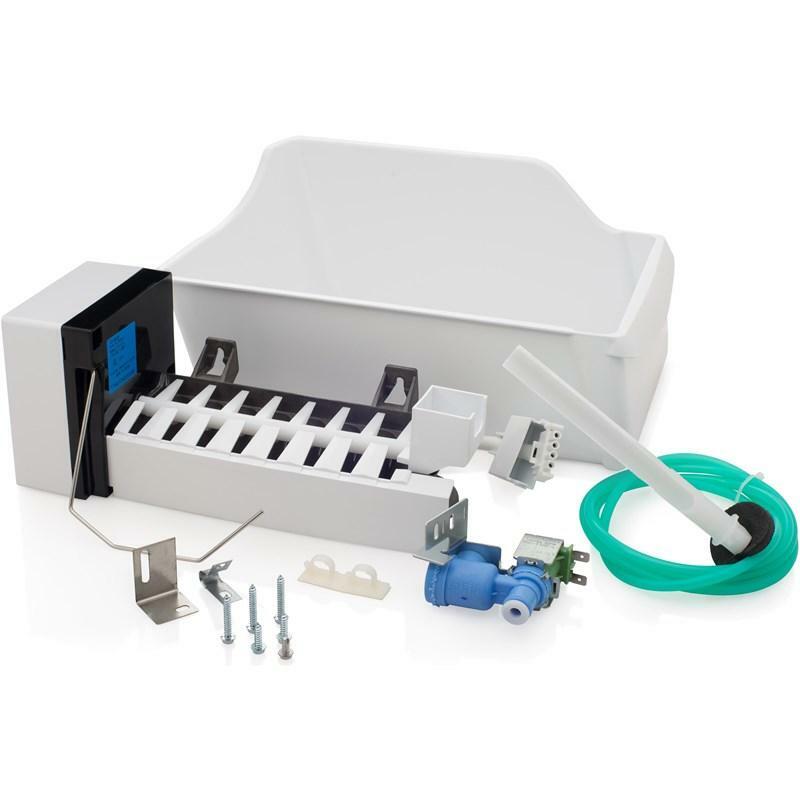 • Includes: Bracket for mounting, counter depth ice tray/container, hardware for mounting (screws and washers), basket trim, radius cube icemaker (115V).